Its really Australia that is much more exceptional than North America. In a global climatic sense….it is really Australia that is much more exceptional than North America. As you point out well - luckily for Australia it's a smaller continent (in fact the smallest one on earth!) situated in lower latitudes with no direct connection to colder high latitude landmasses…and it’s surrounded by water on all sides. 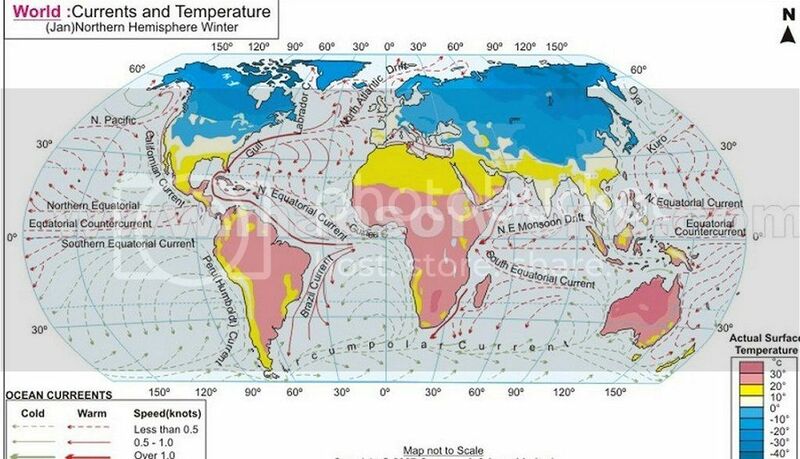 No continent on earth has this physical geography. Not really fair to compare the smallest continent on earth and least land controlled with one of the largest...and most land controlled. For example, Los Angeles and San Diego (32/34 north) are both warmer in their coldest month than Perth (31 S)…, Orlando or Melbourne, FL (27 N) are warmer in January than Brisbane (27 S) in August…Phoenix, AZ (32) is just as warm as Alice Springs (24) in its coldest month….even though Alice Springs is 600 miles closer to the equator...etc.